The Enterprise Research Campus Planned Development Area (PDA) and the Framework Plan. The Enterprise Research Campus will reside on 36 acres of industrial property formerly controlled by the CSX Transportation rail operation. Harvard’s initial regulatory document for an Enterprise Research Campus (ERC), located a stone’s throw from the rising Allston home of the Harvard John A. Paulson School of Engineering and Applied Sciences, was approved by the Boston Planning and Development Agency (BPDA) board on Thursday evening. The planned development area master plan approved by the city agency includes details for new infrastructure, streets, and open space supporting an initial 900,000-square-foot, mixed-use development of office and lab space, residential units, and a hotel and conference center. The enterprise area, initially included in the University’s 2011 Allston work team recommendations, is adjacent to the new Science and Engineering Complex (scheduled to open in the fall of 2020), across the street from Harvard Business School, and near the cluster of the i-lab, Life Lab, and Launch Lab initiatives. The plans detail significant open space commitments by continuing the development of a dynamic greenway, which currently begins at Ray Mellone Park, will extend east past the new Science and Engineering Complex, eventually expand into the ERC, and ultimately lead to the Charles River. The 2011 recommendations called for the University to create an enterprise research campus to complement institutional growth by opening a “gateway to a collaborative community” that would become a vibrant location for businesses, nonprofit organizations, incubators, startups, and social enterprises looking for opportunities for applied research and entrepreneurship near both Harvard’s campus and the region’s knowledge-based ecosystem. 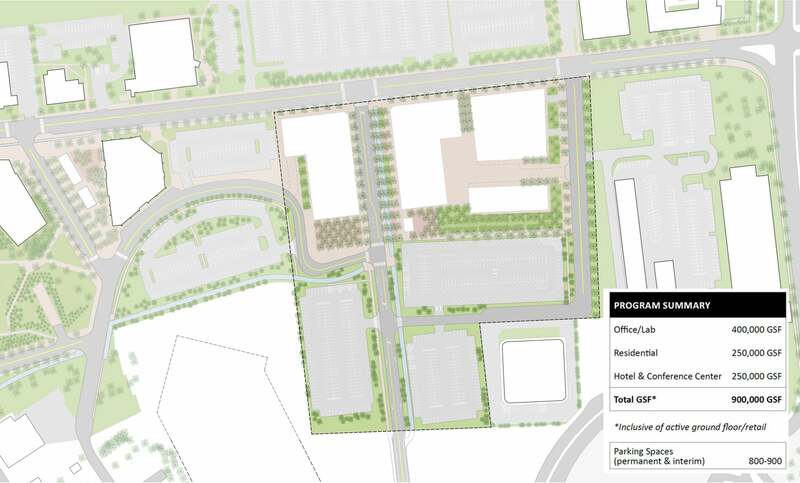 The Enterprise Research Campus will sit on 36 acres of industrial property formerly controlled by the CSX Transportation (CSXT) rail operation. Over the past 15 years, CSXT and Harvard have executed an agreement resulting in relocation of rail uses from property, clearing of all structures, and environmental testing and remediation. With no previous subsurface infrastructure, new below-ground and roadway systems can now be established on the enterprise campus to support development. The master plan and accompanying framework document detail significant open-space commitments by continuing the development of a dynamic, multiuse greenway. The greenway, which currently begins at Raymond V. Mellone Park and continues through Rena Park, will extend east past the new Science and Engineering Complex, eventually expand into the enterprise campus, and ultimately to the Charles River. The plan calls for new roadways, many of which will include such useful elements as a 50-foot-wide pedestrian promenade, urban gathering spaces, and protected bike lanes. The plan also features a new state-of-the-art storm-water system that will enhance drainage and resiliency efforts. These new streets and systems will help improve circulation and address flooding challenges in the neighborhood. The planned development area master plan, reflecting uses. The University’s filings are also responsive to many of the key next steps identified in the Imagine Boston 2030 citywide master plan. The city’s planning document identified the enterprise campus as part of an expanded-neighborhood area, with high capacity for growth in new mixed-use development, housing, jobs, and investment in new transportation infrastructure and climate resiliency measures. The regulatory process to advance the master plan has allowed for significant progress toward goals for the area: creating a mixed-use, transit-oriented neighborhood, adding walkable streets with protected bike lanes connecting a previously impermeable tract of land, implementing a district-wide approach to storm-water management, and working toward a new permanent transit hub at West Station. The Massachusetts Department of Transportation is in the process of developing plans to realign Interstate 90, and has yet to make any formal decisions on many consequential specifications, including the timing of the project. Recognizing the interconnectedness of the two projects, Harvard has taken steps to assure implementation of key transit infrastructure that is compatible with what is known about the emerging plan. In late January, the University introduced the concept of an “early action” West Station as an interim service, and offered to pay up to $8 million for its construction. Additionally, Harvard raised its financial commitment in support of a permanent West Station to $50 million. Thursday’s city board approval was the first of many steps associated with development of this area. There will be several future regulatory filings and associated public review for the enterprise campus as the process moves forward. The University will partner with third parties for development proposals for the first 14 acres, and that process will provide details on individual projects, as well as more specific information on project impact, mitigation, and community benefits. Cass Sunstein, the Robert Walmsley University Professor at Harvard Law School, has been awarded the Holberg Prize, one of the largest international awards given to an outstanding researcher.